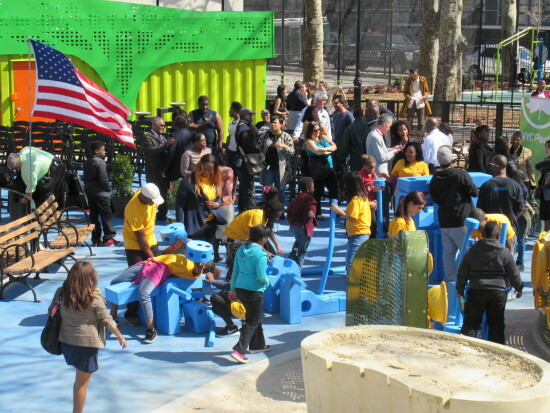 Local students and community members joined NYC Parks Commissioner Mitchell J. 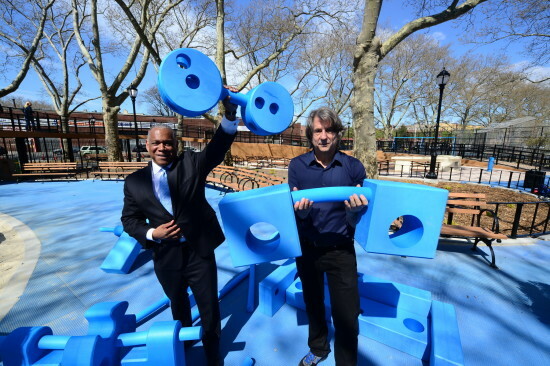 Silver, City Council Member Darlene Mealy, and David Rockwell, founding principle of Rockwell Group, for the opening of the Imagination Playground at Betsy Head Park in Brownsville, Brooklyn. 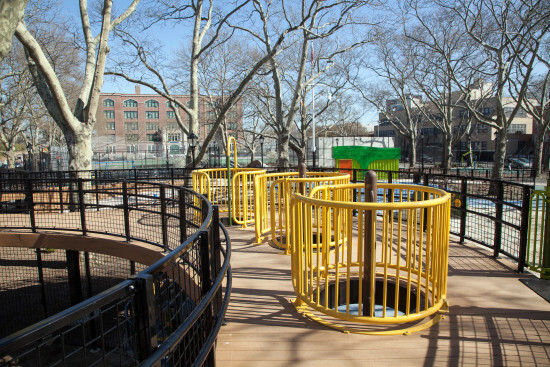 Although the concept derives from adventure playgrounds and similar philosophies of unstructured play, the Brownsville Imagination Playground is technically the first permanent one of its kind in Brooklyn, and the second worldwide. 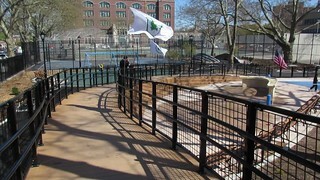 (The first, also designed by the Rockwell Group, opened in 2010 at the Burling Slip in Manhattan). The $5.05 million project was influenced by tree houses, a foil to the monolithic blocks of high-rise public housing for which Brownsville is best known. A curved ramp wends its way through mature trees, while blue foam blocks, cut into funky shapes, along with water and sand, are tools for children to collaborate, build, or create by themselves. 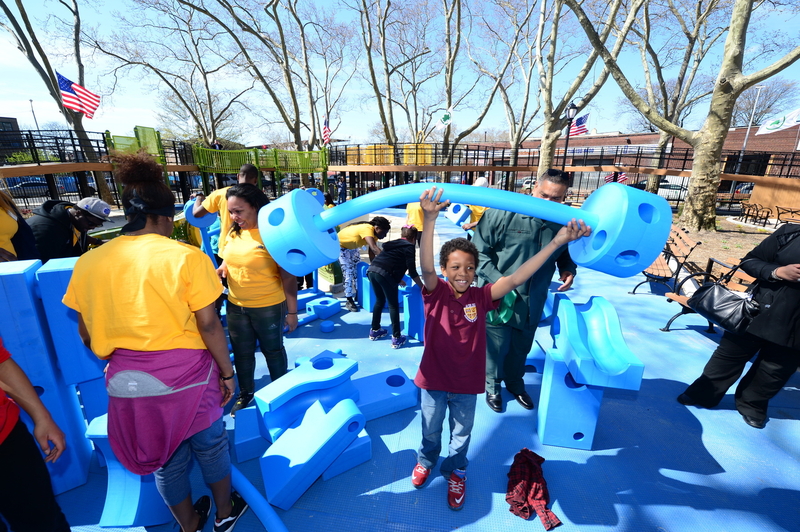 Traditional play elements—slides swing sets, chess tables, and a basketball court—round out the program.